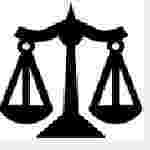 Chhattisgarh High Court Judge recruitment 2016-17 notification apply online: Chhattisgarh high Court welcomes application for the position of 08 District judge (Entry Level) in Chhattisgarh higher judicial service vacancies. Candidates who completed their LLB is a good opportunity.The individuals who are the occupation seekers searching for govt employments in Chhattisgarh this is the best chance to apply. Competitors read the official notification then read all the guidelines and miners precisely then apply before the last date online application got. All the interested and eligible candidates can apply before 5th September 2016. Candidates Age Limit: The age of the candidate should not be less than 35 years and should not be more then 45 years. The age of the applicant should be as on 1st January 2016. Academic Qualification Details: Candidates should have degree of Law (LLB) and applicant should have at – least 7 year been as a advocate as on 1st January 2015. Details of Fee particulars: All the interested and eligible candidates are need to pay application fee who are bonafide residents of Chhattisgarh state belonging to Schedule caste categories candidates / schedule tribe categories candidates or other backward class categories candidates have to pay Rs 700/- and Rs 1000/- for all the categories candidates who belonging to un – reserved categories candidates and for all the categories candidates who are not the resident of Chhattisgarh state through Challan with state bank of India Challan through core banking network all over India. Process of applying for the job: Candidates may apply in prescribed application form along with identity sheet and recent passport self – attested photograph with the name and address of the applicant on the back of the photograph affixing one on application form / one photo on identity sheet and 2 to be pasted at the space provided in the application form and two self – address envelope stamped with postal stamp of Rs 25/- each send to the Registrar General, high Court of Chhattisgarh at Bodri, Bilaspur:- 495220 on or before 5th September 2016.